Japanese cult streetwear label A Bathing Ape, or BAPE, celebrated 25th anniversary last year with a slew of collaborations with a diversity of international brands, including Bell & Ross BAPE XXV. 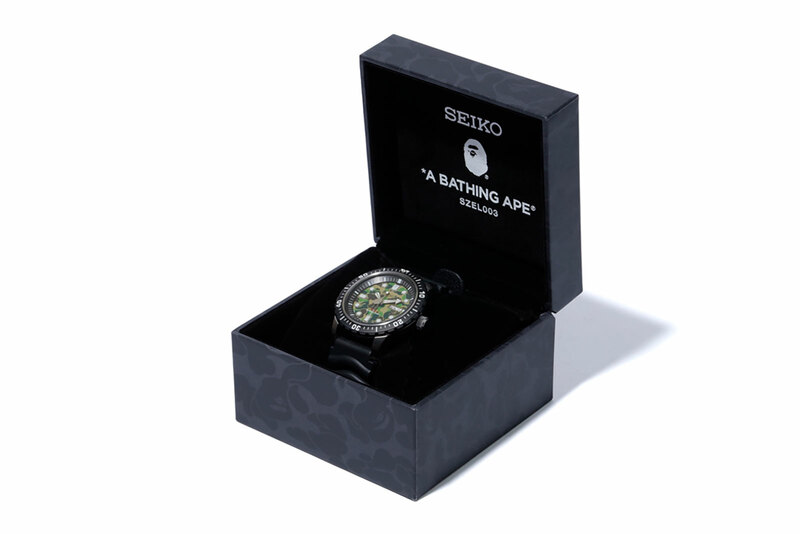 But the watch collabs are continuing apace with the Seiko x BAPE Mechanical Divers Watch (ref. SZEL003). 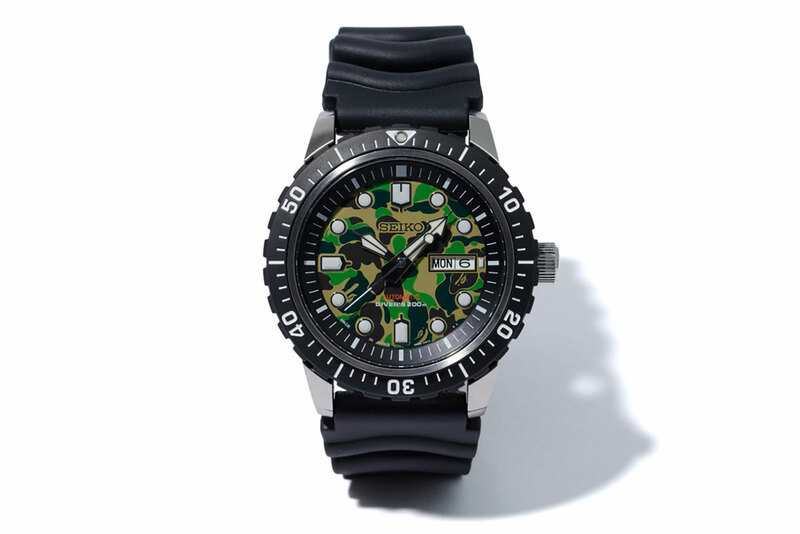 A limited edition of unspecified quantity, the Seiko x BAPE diver has a dial in the “ABC Camo” motif that is the BAPE signature. The case is steel, 45mm, and rated to 200m. It’s fitted with a Hardlex, or mineral glass, crystal. Inside is the automatic 4R36 movement, which has a hand-winding function and a 41-hour power reserve. It is made in Japan. 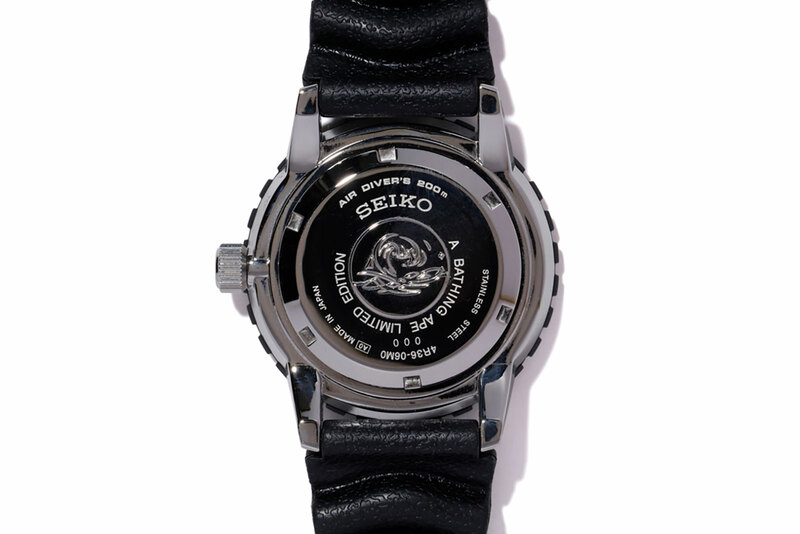 Priced at ¥60,000 excluding tax, or about US$550, the Seiko x BAPE Mechanical Divers Watch (ref. SZEL003) will be available starting February 9, 2019 – only in Japan. 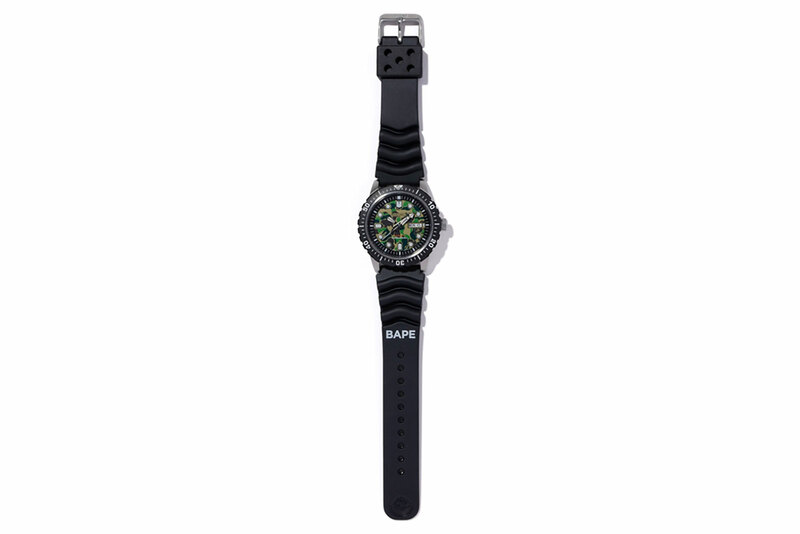 Lotteries will be held at BAPE stores to select customers who can enter the store for a chance to purchase the watch. For additional details on how to buy, visit BAPE.com. A limited edition Grand Seiko with a green guilloche dial.